Yesterday, Artem shared his personal experience with the Google Home Mini, and how his unit began recording audio at random intervals. 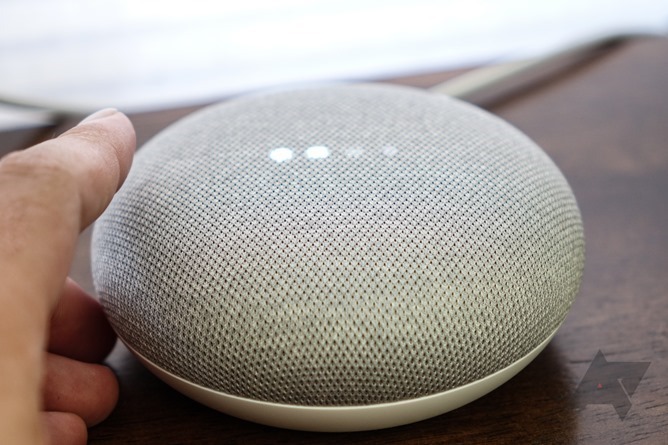 This was due to a hardware flaw, where the Mini believed that the top touch button was being pressed, which then prompted it to start listening for voice commands and sending the audio to Google's servers. Google quickly disabled the top button via a software update while it worked on a possible solution. Not only is the single-tap action being disabled, which would enable Google Assistant, the button is being completely turned off. Previously, the Home Mini would allow taps to play/pause music, or stop an alarm/timer (see this support page for examples). The volume controls on the side of the Mini are unaffected. While the problem was limited to only a few reports, it's clear Google wants to avoid any potential issues that could have arisen. Smart speakers and similar products are already avoided by many people due to possible privacy concerns, and a more widespread incident like this could have done major damage to the company's reputation. At least this time, Google has avoided a Note7-style situation.